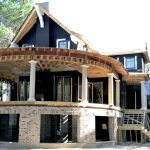 When approaching a home design, it is important for us to consider the design as an entire concept and revisit this concept with every detail. The detailing should enhance the home and remind one of its original intention. For instance, in this Kiawah Island marsh front home, the design concept was to create an efficient home that lends a sense of permanence and comfort. 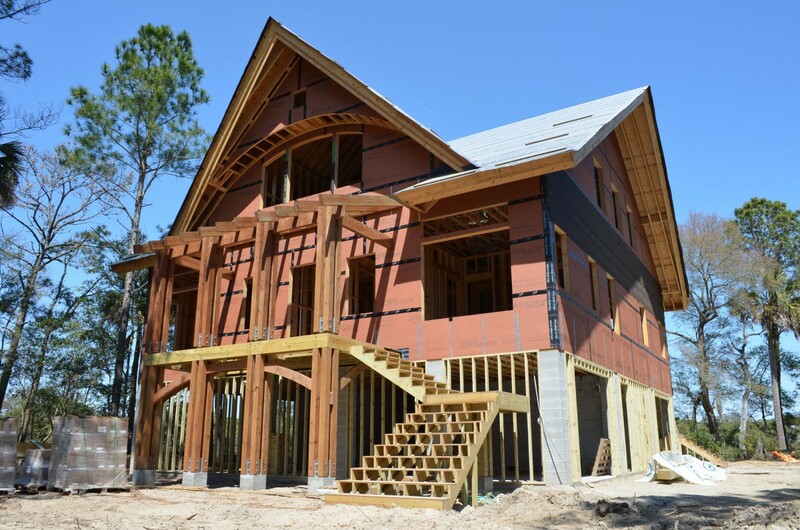 This home design at Indigo Park utilizes timber framing elements and custom steel connections to create an expressive structure. These elements are not intended to be hidden with finishes, rather they are to be clearly shown so that the home owner can easily get an understanding of how everything works together. The feeling this home conveys that it will last for many years to come. 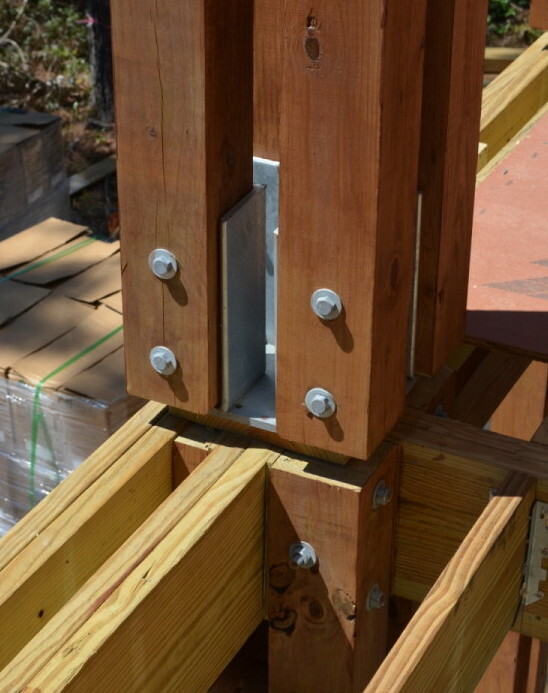 The exterior columns are comprised of six by six timber and custom welded steel connections. They were arranged in a rectilinear pattern to allow for the clean joinery of floor joists, radiused lateral bracing and even hand railings. 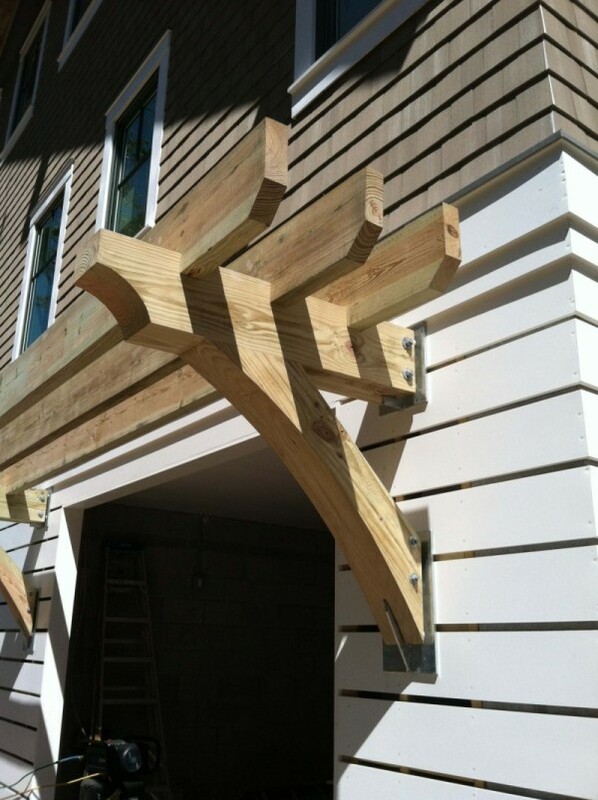 The garage trellis carries the same detailing as the rest of the home. The detailing revisits to original design concept of efficiency and permanence. 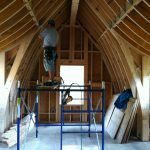 The result is a quiet sense of comfort, knowing that every aspect of the home you are standing in has been well considered and constructed.